Welch Duo Seal Vacuum Pump w/ GE ¾ HP Motor 1402 for Sorvall Ultra Pro 80 . New Life Scientific, Inc. 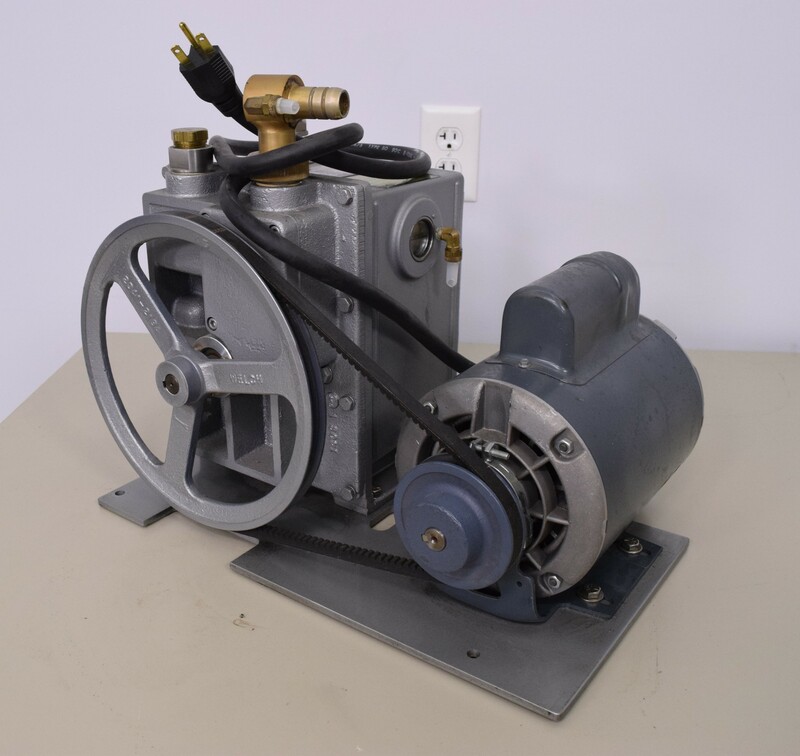 The Welch Duo Seal Vacuum Pump is in good cosmetic condition with normal wear. The pump and motor are mounted on a plate. The motor is ¾ hp, 110 V with plug and 1425 RPM.